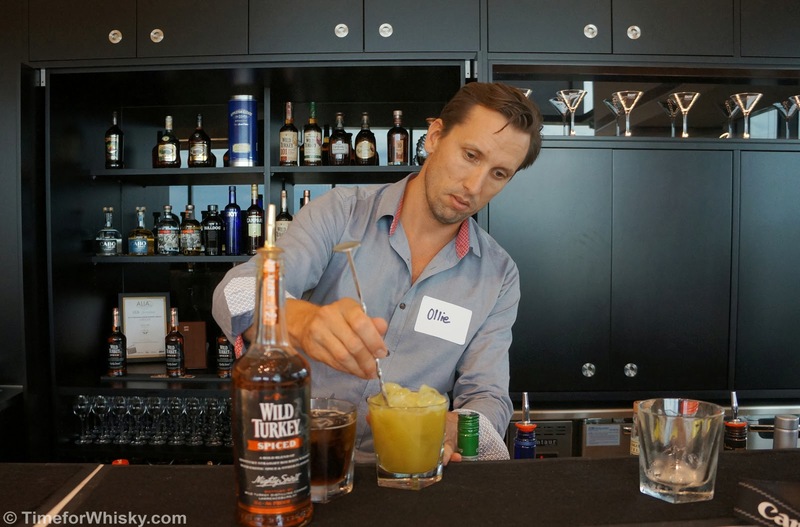 Gruppo Campari, in association with Men at Work Comms launched the new and innovative Wild Turkey Spiced on a steamy Wednesday afternoon last week at Campari HQ in Sydney's St Leonards. 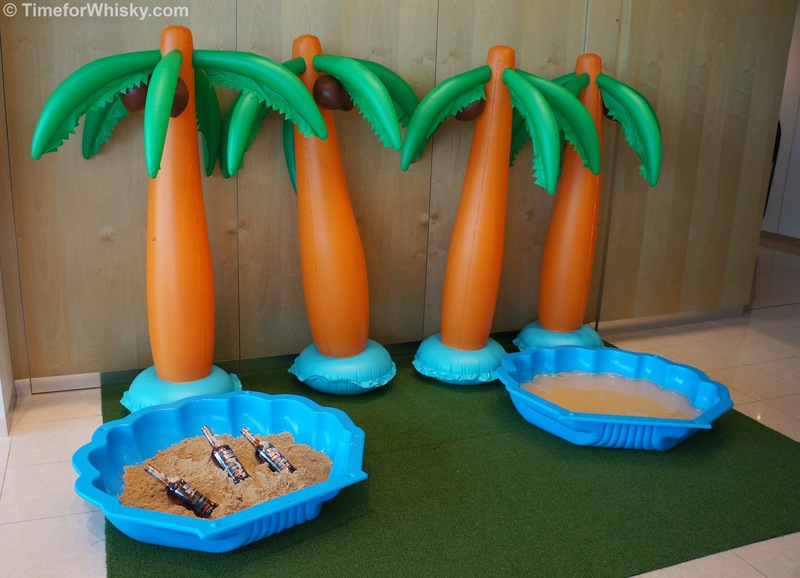 The young crowd were introduced to the first "spiced Bourbon" in Australia, and the first-ever spiced Bourbon from what Wild Turkey are calling the “island of Kentucky”, in the office's relaxed Campari bar (complete with blow-up palm trees, sand and an exceptional harbour view). “I wanted to develop a product that brought to life the best of our robust Bourbon, while delivering the smoother taste. 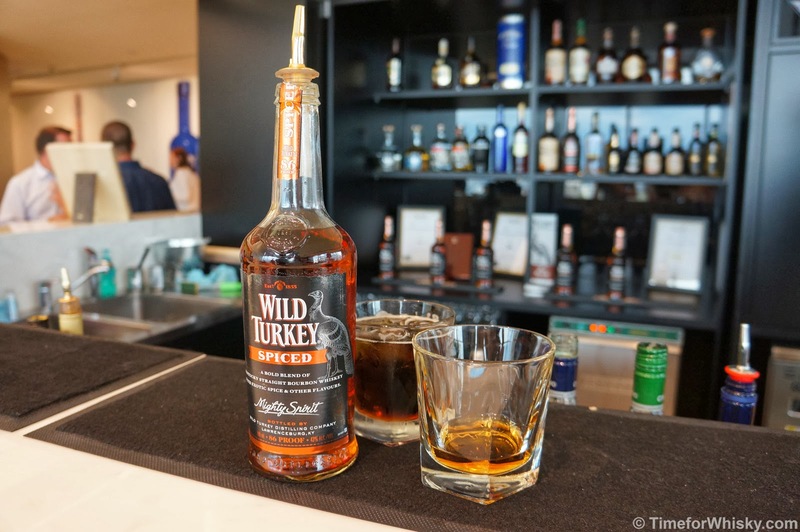 Wild Turkey Spiced is a Real Kentucky Bourbon with flavours of Vanilla & Caramel and hints of Clove and Cinnamon” said Eddie Russell, Wild Turkey Master Distiller and Bourbon Hall of Famer (not present at the event). 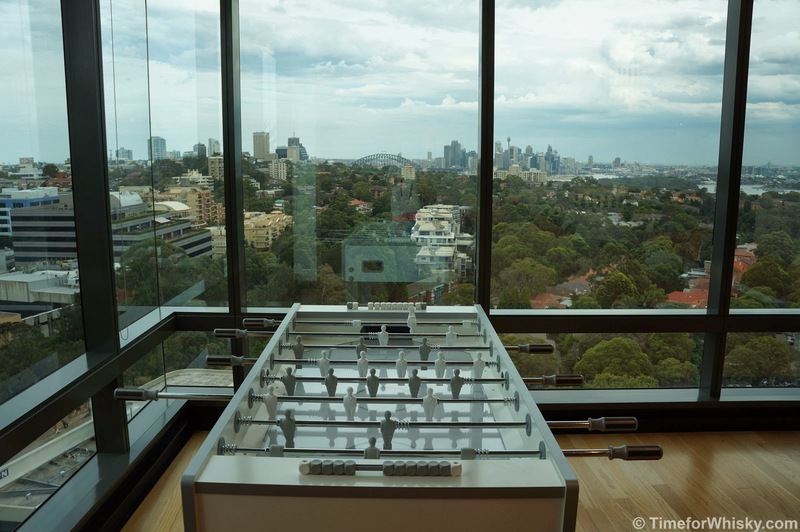 Did it mix well? Absolutely! Oliver Stuart (“Ollie” - below), National Brand Ambassador at Campari Australia was the maestro behind the bar, mixing the sweet and spicy spirit with Coca Cola (i.e. the “hero” drink), dry, or freshly squeezed apple juice. Alternatively, it was perfect on its own with ice - still clearly a Bourbon, but with a spicier, fuller, sweeter taste. 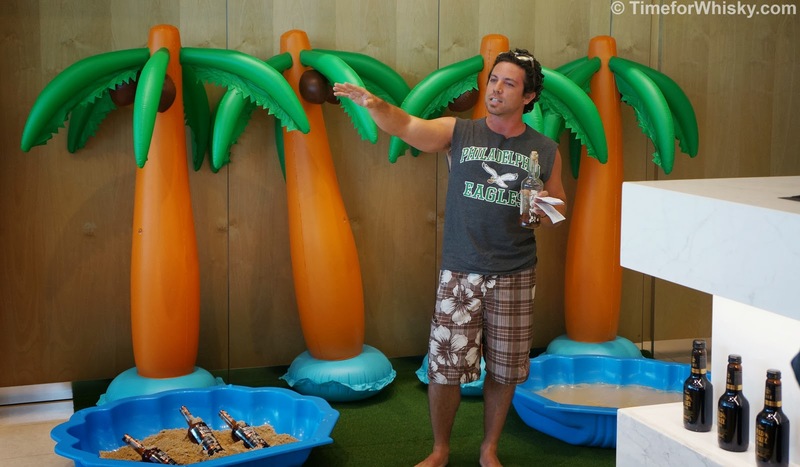 Jordan Berger, NSW Brand Ambassador at Campari Australia was entertaining as “Jay”, the stranded-on-a-deserted-island surfer who found an indistinguishable bottle of locally-made spirit deep in a cave half buried under a mound of sand. Legend has it it was delicious on its own, amazing when mixed, and much-sought after by the Wild Turkey distillers when introduced to them. Wild Turkey Spiced is available nationwide with a recommended retail price of $49.99AUD per 700ml bottle (though on a visit to Dan's today Martin and I saw it for around $40AUD). http://www.facebook.com/wildturkeyau has additional information.